Game engines provide game developers a framework for creating a video game without the need to create all systems, such as the physics, graphics, and AI, from scratch. Game engines help developers save time and resources by removing the need to program and integrate game-supporting systems together, so developers can focus on creating the meat of the game itself. Game development teams use game engines to support them while they program a video game, and the decision of which game engine to use is usually the first step towards actually creating a game. 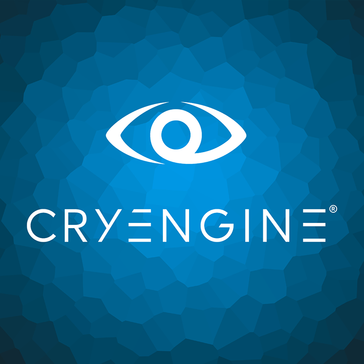 Similar to a software suite, game engines contain many different internal systems such as a physics engine, audio engine, rendering engine, AI, animation, and more. Often, there are plugins or APIs available to customize a game engine, and some game engines come with asset libraries to make it even easier to create a game. Game Engine reviews by real, verified users. Find unbiased ratings on user satisfaction, features, and price based on the most reviews available anywhere. PlayCanvas is an open source cloud hosted collaborative 3D platform for building video games that allows per-pixel lighting, shadows and post effects, rigid bodies, triggers, vehicles, and joints, and audio, input, animation, and entity system. Buildbox is a codeless game development platform that empowers customers to make a video games. jMonkeyEngine is an open source game engine for Java game developers to create 3D games using modern technology. Eclipse Engine is a data driven, next gen. RPG engine for the Xbox 360, Playstation 3 and the PC. GamePlay3d is an open-source, cross-platform, 2D and 3D game framework aimed towards indie game developers who are creating desktop and mobile games. HeroEngine is the only all-in-one development platform for making & operating online games. HeroEngine offers the only real time collaborative game engine where developers from anywhere in the world can work together in real time. HeroCloud, the HeroEngine cloud based service offers everything from middleware to full service server and network already built in and included in your yearly subscription. Ren'Py is a visual novel engine that helps you use words, images, and sounds to tell interactive stories that run on computers and mobile devices that can be used as both visual novels and life simulation games. Torque3D is an open source 3D game engine that lets you create immersive environments, simulations, games and visualizations, with built in tools for level and game play design, and network codes that can support multiplayer environments. 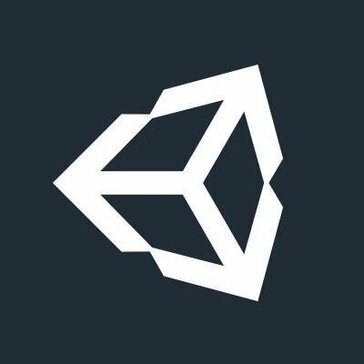 Turbulenz is an open source HTML5 game engine for developing games under the MIT license that allows you to create, test and monetise your game. Unigine is a real-time 3D engine for games, simulation and training, real-time visualization, serious games and virtual reality systems. Wire3D is a multi-platform 3D engine written in C++ featuring platform independent rendering, scene graph generation, vector, matrix, quaternion lib, importer, and more. ZGameEditor is a tool for creating small arcade style games, demos, and screensavers that is integrated with a developer environment where you can build, preview, and test your game. 4A Engine is a graphics middleware engine that was created for game creation on multiple consoles and high-end PCs. Anvil is a game engine for video game developers to use on Windows, Playstation and Xbox using Autodek's HumanIK middleware technology for positioning of the hands and feet of characters in the environment. Ardor3D is a Java-based, professionally oriented, open source 3D graphics engine that utilizes OpenGL for performance gaming and visualization. Core3D is a lightweight framework for developing 3D visualization and simulation applications programmed in objective-C. Crystal Space is a software development kit providing real-time 3D graphics for applications such as games and virtual reality. DimensioneX is a multiplayer game engine that is for multiplayer adventure games that can run on any computer, supports turn-based games as well as real-time games. has customizable commands, multi-area worlds and more. Frostbite is a software development toolset that enables game creators to iterate on ideas and achieve visions for interactive experiences. Gamebryo is a multi=platform game development system that provides a cohesive game creation experience by giving you the tools you need to create your game then experiment with iteration on your games design. id Tech is a studio guided by the principle of making innovating worlds powered by technology to deliver an immersive gaming experience. ioquake3 is a GPL2+ first person shooter engine developed that aims to build upon the id Tech source code to remove bugs, clean up source code and add more graphical and audio features. Leadwerks is a way to make your own royalty-free 3D games with sound, physics, particles, AI, programming, editor, and graphics. LOVE is an open source 2D game engine that allows for development using Lua on Windows, Mac OSx, and Linux. Maratis is an open source portable visual game development tool designed for artists and developers that can be used on any platform. Marmalade is a cross-platform development tool built around the belief that developers should innovate, create, and craft content or any audience on any device without adjusting performance or creative vision. MonoGame is an Open Source implementation of the Microsoft XNA 4 Framework. Nebula Device is an open source 3D game and visualization engine that is written in C++, scriptable through Tcl/TK, Python and Lua, and supports D3D and OpenGL for rendering and runs under Linux and Windows. OpenSimulator is an open source multi-platform, multi-user 3D application server that can be used to create a virtual environment to be accessed through a variety of clients, on multiple protocols. Panda3D is an open source game engine and framework for 3D rendering and game development for Python and C++ programs that can be used for any purpose. Phaser is a game framework for creating HTML5 games for desktop and mobile web browsers, supporting Canvas and WebGL rendering. playn is an open source cross platform Java game development framework that deploys to JVM, HTML5, Android and iOS providers and devices. Polycode is an open source cross platform framework for creating games and interactive applications. Hi there! 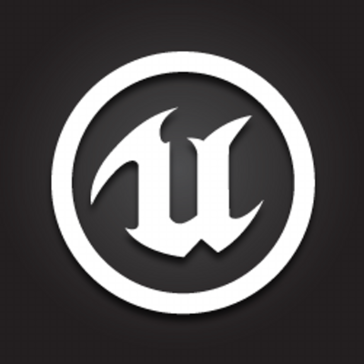 Can I help you find the best Game Engine solutions?